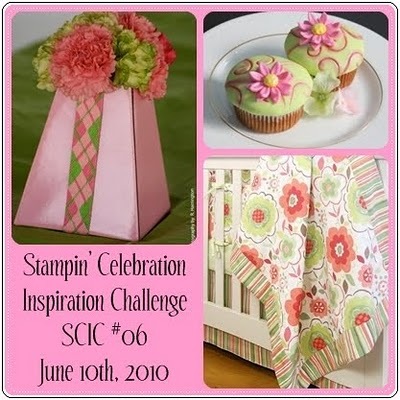 Next in my batch of updates is the latest challenge at Stampin’ Celebration. I can always find inspiration in the challenge photos presented each week, even if I don’t have the chance to play along. The biggest challenge for me is deciding which pieces to use in my cards! If you haven’t played along at Stampin’ Celebration yet, give it a try! I used SU cardstock for the base and the embossed section. The stamps I used are from SU’s “Hello Again” set. I used Melon Mambo, Old Olive and Chocolate Chip to stamp the images and sentiment. The dotted cardstock is from Bazzill and the patterned paper is from Bo Bunny (one of their older collections, “Alyssa”). The gem brad is from Karen Foster. What a lovely card… great job with the Stampin' Celebration Inspiration Challenge – thanks so much for joining us this week! Such a cute use of that stamp set!! Super card. So cute! 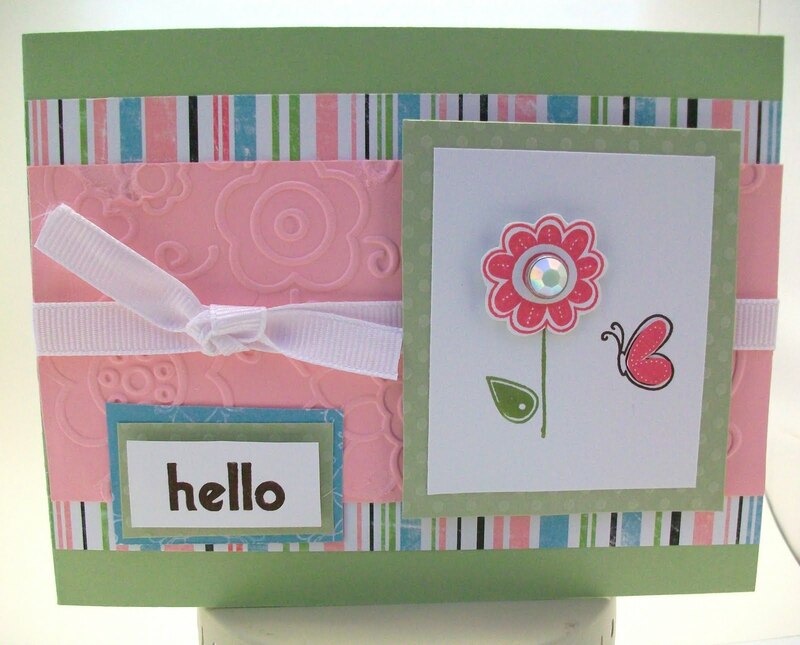 I just love this stamp set and cute font of the 'hello' sentiment! Thanks so much for playing along with us at the SCIC! Cute! I love the colors you picked. Thanks so much for playing along with us at stampin' Celebration!